1. 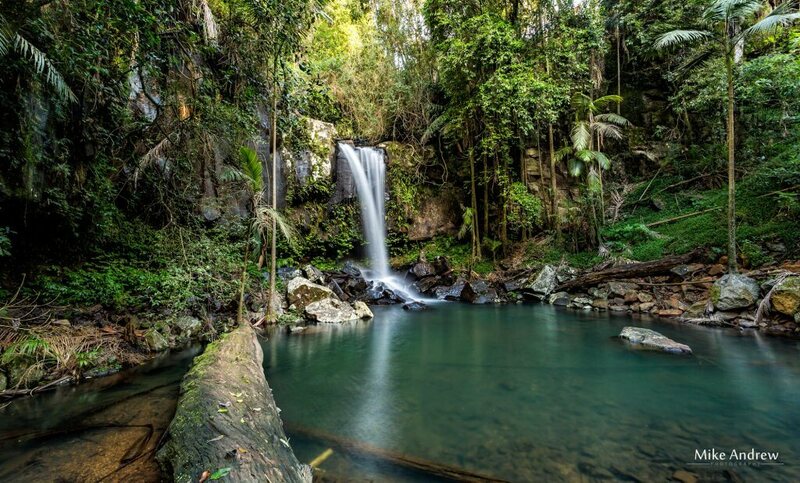 Chalahn Falls: Chalahn Falls is located on the 15.3 kilometres Tooloona Creek Circuit in Lamington National Park. 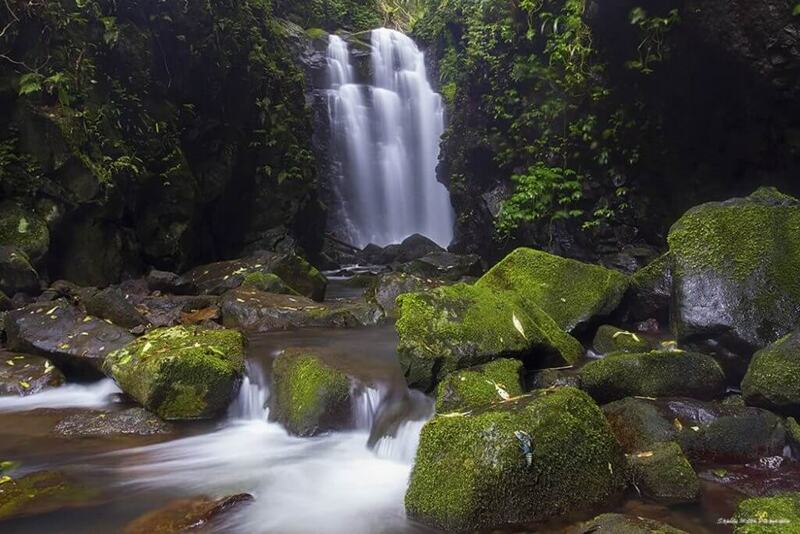 The Chalahn Falls is a picturesque waterfall that cascades over a mountain and onto mossy rocks and logs and is considered to be a favourite amongst tourists and locals. 2. 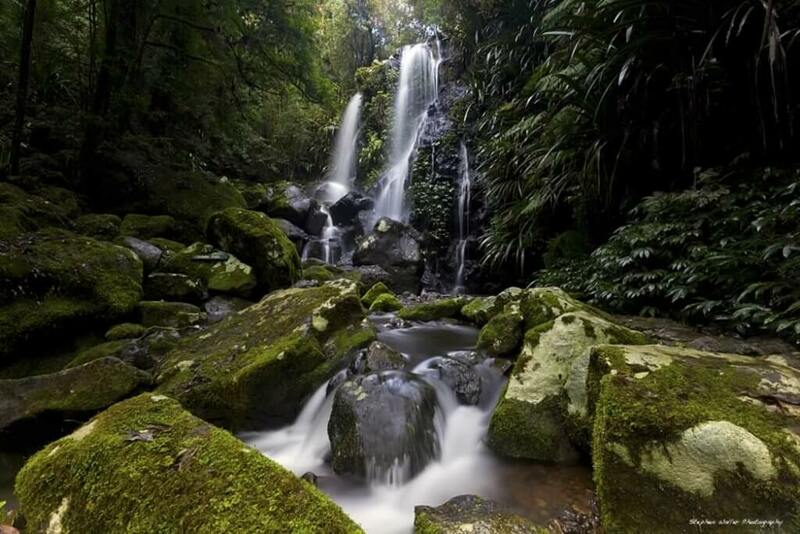 Elabana Falls: The Elabana Falls is a cascade waterfall that is located within Lamington National Park. The Elabana is an 8km round trip and is worth every step – you won’t be disappointed! 3. Box Log Falls: The Box Log Falls is a large waterfall on West Canungra Creek, a tributary of the Logan River. 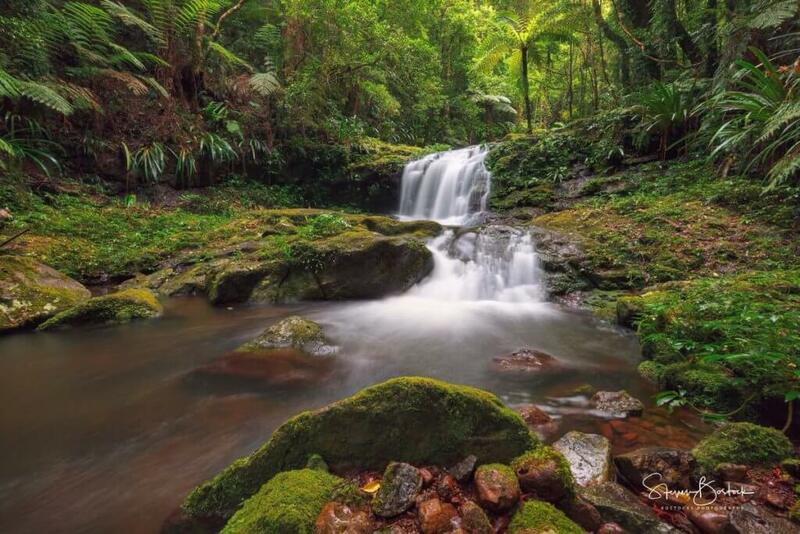 The Box Log Falls is one of the many waterfalls that you will pass on the Box Forest Circuit – the circuit is 10.6 kilometres and begins at the O’Reilly’s Carpark. 4. Mirror Falls: Mirror Falls is an incredible 20.6 kilometre trek along the Albert River Circuit. Mirror Falls is one of the longest hikes in the area and is a picture perfect place to spend the day. 5. Natural Bridge: The Natural Bridge is considered a ‘must visit’ when visiting the Gold Coast. The Natural Bridge in the Numinbah Valley is a dream-like cave that lights up with glow worms in the late afternoon. 6. 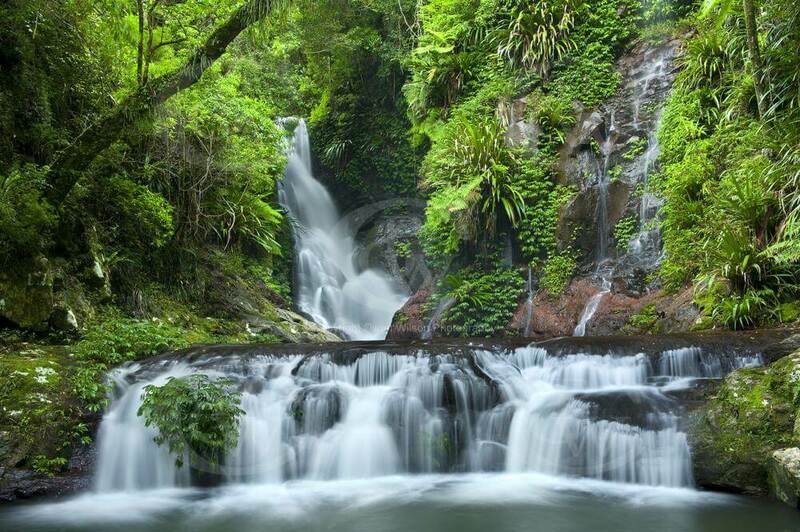 Curtis Falls: The Curtis Falls boasts and easy 2.6 kilometre walk and is the perfect place for a quiet picnic. Tours and attractions can be booked through My Holiday Concierge!